CAN I REQUEST PET SITTING FOR SEVERAL ANIMALS AT THE SAME TIME? Requesting pet sitting for several animals at the same time can be complicated. Pet sitting with a family offers flexibility and adaptibility to both your and your pets’ needs. A single pet sitter can easily take care of several animals belonging to the same owner. How many animals can a pet sitter accommodate ? In general, you’ll be able to leave all your animals with the same host family. With experience, pet sitters tend to set a maximum for the number of animals they can accommodate, so they can guarantee a high level of service. Clearly if the pet sitter takes in more animals than they can reasonably accommodate, this will have a negative effect on your pet’s experience. So it’s always best to opt for sitters who you know have the experience to recognise the maximum number of animals they can take in, while still maintaining the highest possible level of care. If you have several animals of the same species (all dogs for some example), we usually set a maximum of 4 for any one sitting. This number may be varied according to the size of your pet. For example if you are the owner of several Old English Sheep Dogs or Great Danes, it is more difficult to find sitters who would be able to accommodate all your animals. In all cases, the aim is to limit the number of animals a pet sitter takes in, to a number which is appropriate to the size of their home. 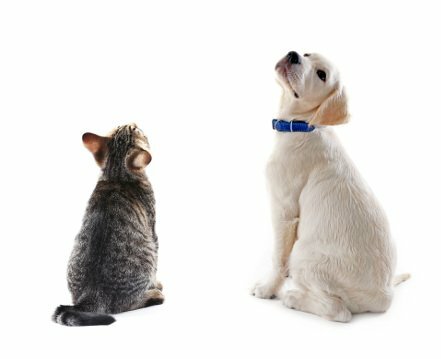 If you have animals of several different species, the total number a pet sitter can take in, can potentially be higher. Clearly it’s much easier to look after several small animals (ferret, rabbit, rodent etc.) all at once. In this particular case the sitter will need to be set up with all the appropriate cages and pens etc. In general, when you book pet sitting with a family this will be with one single pet sitter. However there are other possible scenarios for owners with several animals. If you own just one pet then naturally you’ll only need the services of a single family. This will also be the case if you have several as long as the sitter is able to accommodate them all comfortably. If you can’t find a sitter able to accommodate all your pets, then you can of course employ a second family. Indeed some owners see no problem in organising for their animals to be looked after by two or more families. This solution makes perfect sense also if your animals struggle to get on when in unfamiliar surroundings, or you have a significantly high number of pets.